Oooo, this is a difficult subject It is something I had to man-up to quite seriously several years ago. I have had bladder problems since I was a young man, multiple sclerosis has a lot to answer for 🙁 Nowadays I use incontinence pads because of the irritable bladder. The pad fits inside them during the day. 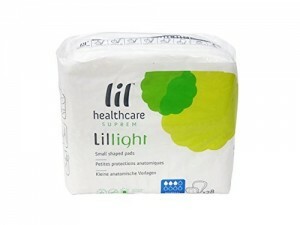 Usually it is ‘Small Discrete Pads‘ for ‘light loss of bladder control’ with an absorbency of 200 ml. 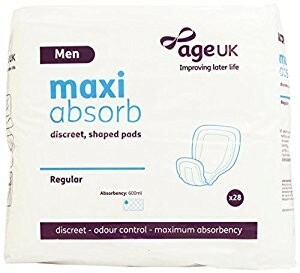 If I am going to be out for a long time, maybe going to a play or meal, then I will wear a ‘Regular Discreet Pad” with absorbency of 600 ml. Up to 50 percent of people with MS suffer from urinary incontinence and won’t seek medical help. Years ago I was unsure if there was any help. For too long I simply hoped that the problem would go away. Sadly multiple sclerosis is not like that. The MS nurse introduced me to intermittent self-catheterisation. It did not solve my problems but it improved the quality of life immeasurably. I had to start wearing an incontinence pad. Why? I am not incontinent it’s just that sometimes I cannot get to the loo in time. In fact urinary incontinence was having a huge impact on my quality of life as well as my social life. A wet patch on the crotch of my trousers caused me huge embarrassment. My bladder problems require a change to my life style so I have had to stop drinking beer. I have also cut back on wine and other alcoholic drinks. Nowadays I drink decaf tea and decaf coffee. It is a daily pill prescribed for an overactive bladder. Typical symptoms are urinary incontinence, urgency, and frequency. People with MS often live a life that is governed by their bladder. Nobody can see I am wearing a pad. The ones I wear are small and discrete but my quality of life and self esteem have really benefitted. Great article, I wrote one, a few years ago, on my Bowel issues……constipation mainly and my discovery of a thing called Peristeen……it has totally changed my quality of life. Bowel & bladder problems are never discussed openly enough, it is such a big taboo subject but I don’t think it should be…….too many people suffer in silence! Yup everyone says it needs to be discussed but I am deafened by the silence. The main thing is not being able to get there on time! I have to use a “bottle” in the morning as to get to the loo I have to put on my lower leg prosthetic, and this takes too much time! I tried self-catheterisation but found it incredibly complicated- all that hand washing! ISC for women is not as easy as it is for men. Sounds like getting going in the morning is a bit of a mission for you. I use an FES but can stagger through to the bathroom without it, its only a few steps from my side of the bed. Do you take any pills to reduce spasms of the bladder and have you thought about getting Botox? Ask GP to make an appointment to see a neuro urologist. 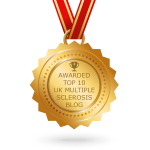 I agree with you, people need to be a lot more open and honest with themselves and other people about MS and the strange problems that come with it.